In Cara Putman’s White Christmas, Abigail Turner is holding down the Home Front as a college student and a part-time employee at a one-of-a-kind candy shop. Loss of a beau to the war has Abigail skittish about romantic entanglements—until a hard-working young man with a serious problem needs her help. Abigail’s brother Pete is a fighter pilot hero returned from the European Theater in Sarah Sundin’s I’ll Be Home for Christmas, trying to recapture the hope and peace his time at war has eroded. But when he encounters a precocious little girl in need of Pete’s friendship, can he convince her widowed mother that he’s no longer the bully she once knew? The Turner family believes in God’s providence during such a tumultuous time. Can they absorb the miracle of Christ’s birth and His plan for a future? I don't often review romance novels, but I am a sucker for Christmas books and will review any that I get the opportunity to review, so of course I grabbed this one. There are three stories in the book, each by a different author, and each centering around a different sibling in the same family. The whole book is set during World War II, with military figures playing a big part in each story. All three stories were extremely well written, and the authors did such a great job that it is not obvious that the stories were written by different authors. They read like they could be from the same author. As with most romance novels, they did tend to be a bit predictable: boy meets girl, boy and girl fall for each other, boy and girl get married. However, that did not detract from the story. The combined backdrop of Christmas and wartime made an excellent combination and there was still that unknown part as you wondered if it was going to come out the way you wanted it to. I'm not a big World War II buff, but to my mind, it seemed the authors did the historical parts right, and I know at least two of them have written novels set during that time period before. Their research paid off. If you're looking for a great Christmas novel to read this Christmas, and don't mind three somewhat predictable novellas, I highly recommend this book. I felt my time reading it was well spent. TRICIA GOYER is the author of 35 books and has published over 500 articles for national publications. 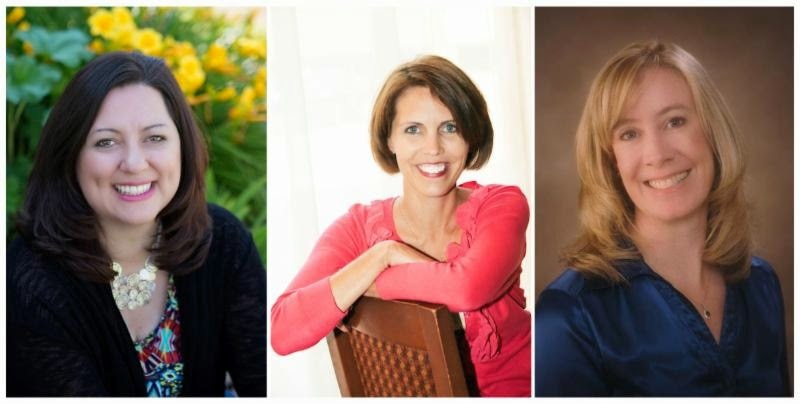 CARA PUTMAN is the author of twelve novels and two novellas including Shadowed by Grace, and she is the winner of the 2008 Carol Award for historical fiction.SARAH SUNDIN is the author of the Wings of the Nightingale series and the Wings of Glory series. 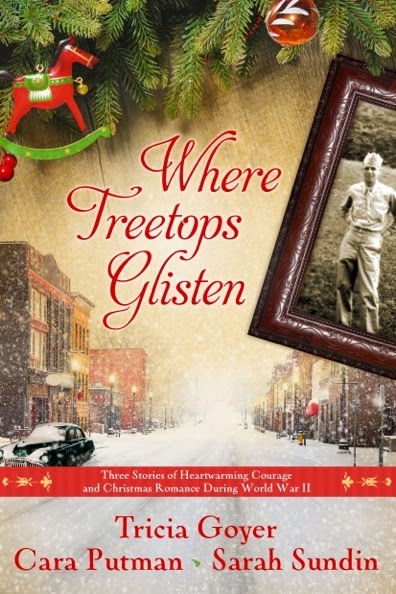 Where Treetops Glisten is available from Waterbrook/Multnomah Publishing. Thanks to Litfuse for the review copy.